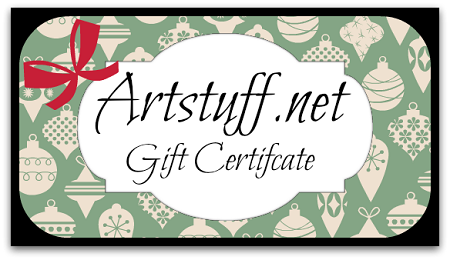 Makes a great gift for the artist looking for supplies or even to keep for yourself for later use. Once purchased, you will receive a Gift Certificate email with details on how to redeem it. This is the email that can be forwarded to the person who will be redeeming it. These are not actual cards that are shipped out, but rather offers a code that applies a credit for the amount purchased.